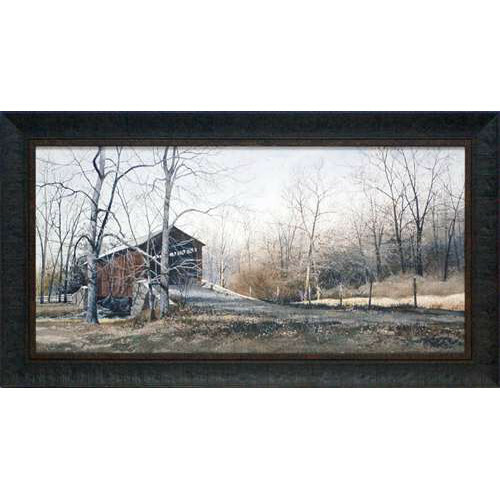 Kissin Bridge by artist Ray Hendershot features an old time covered bridge crossing over a countryside stream. The landscape is winter, trees are bare, ground has a light dusting of snow, very November or early December. Wonderful rustic country lodge cabin sort of wholesale framed art print that will make a beautiful contribution to your existing interior decor.